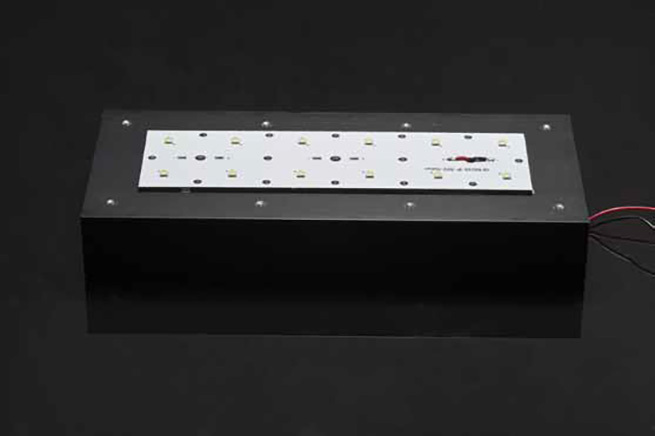 General information of STRADA-IP-2X6-product assembly. The following instructions should be observed before using product. 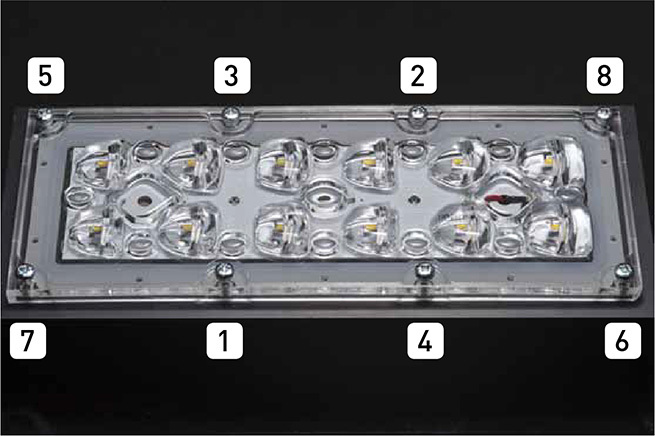 To ensure reliable assembly, STRADA-IP-2X6 fastening materials (heat sink, screw) need to be suitable for lens attachment. 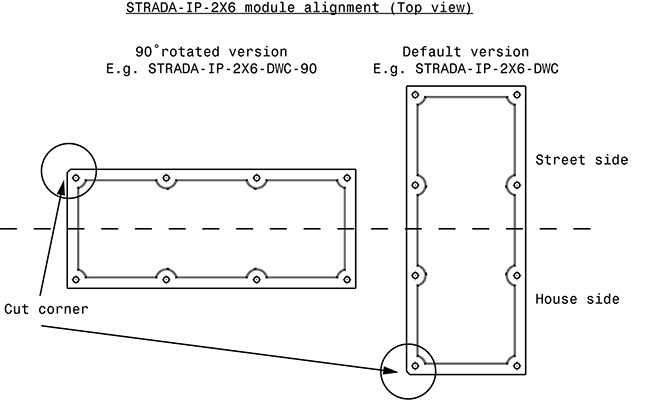 Differing from other STRADA-IP-2X6 lenses, the CS14145_STRADA-IP-2X6-DWC-90 module needs countersunk screws of type M3 (DIN 965) for fastening the PCB to heat sink. 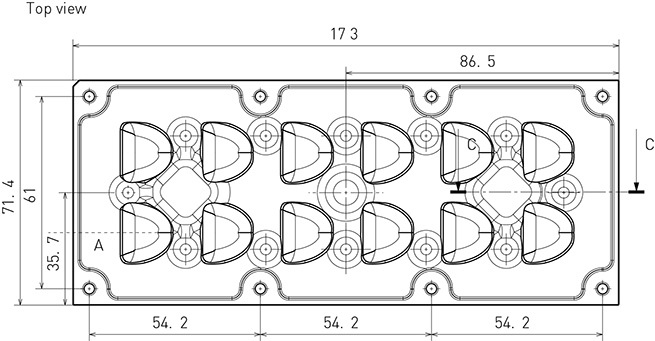 Please note: LEDiL recommends the use of the M3 nylon washers (DIN 125 / ISO 7089) below fastening screws on our STRADA-IP-2X6 modules to minimize stresses induced by torqueing of the screws. 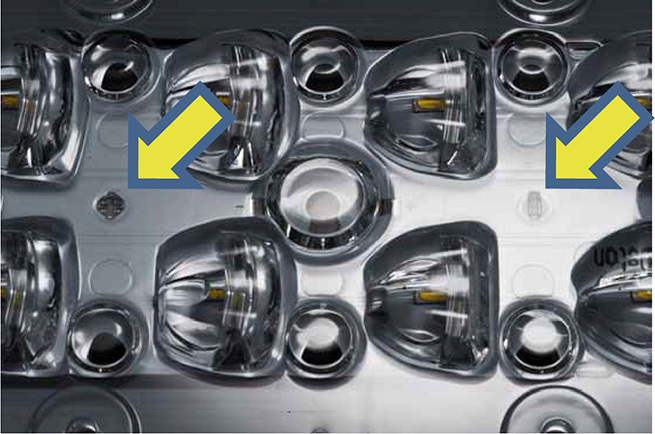 Like all PMMA lenses STRADA-IP-2X6 is also prone to environmental stress cracking. 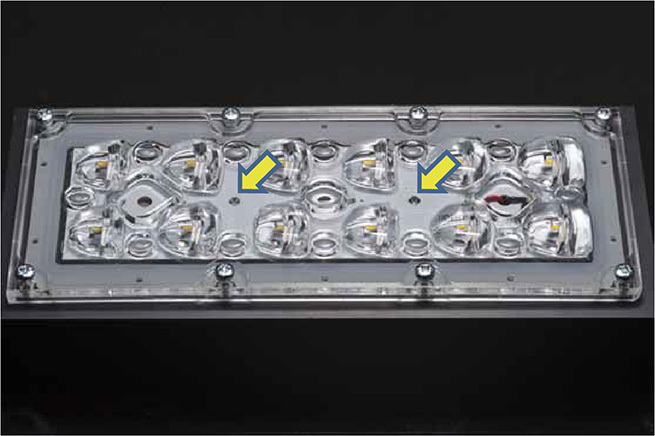 Please make sure that chemicals used in the fixture manufacturing do not cause stress cracking risk with PMMA. Use lens position pins to align MCPCB. Install all screws in place before final tightening.